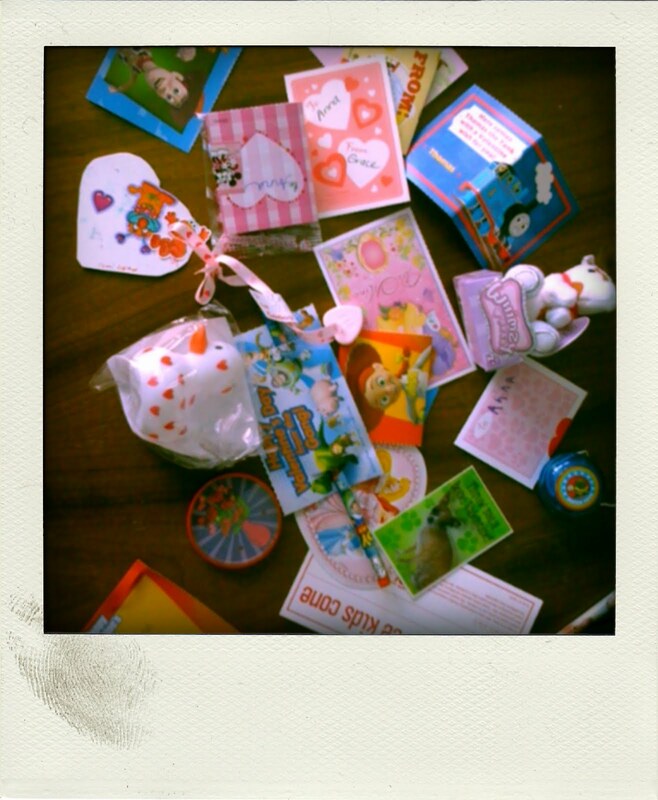 Today Anna came home from day care with a fistful of candy and a bag of Valentine's Day cards from her tiny classmates. She hurried clumsily through the back door and stampeded down the hall to my office where she ran arms-out into my stomach, still clutching her sugary plunder. There was a sweet little ribbon bracelet threaded with a candy heart that said "BFFs." One card read, "Thanks for being my friend." I know the boy who gave it to Anna didn't actually write the message, but as we filled out our own notes I'd asked her about each classmate: "He shares his Buzz!" "She plays babies with me." "Her sneakers are sparkly." These are the earliest, purest gestures of friendship. These little cartoon-themed cards are the first tokens of our most important connections. Mixed in with the cards was a birthday party invitation, her first ever from a classmate, a friend she'll make without the benefit of blood relation or parental friendship. With equal parts delight and trepidation I thought, this is where it begins. I try not to picture Anna's future in light of my own experience. I want to be able to project less of myself onto the little girl who already has so much of me in her. But I worry. I remember years of Valentine's Days riding the school bus home with only a card from my teacher. I can count on one hand the number of birthday parties I was invited to before high school and even then, when it seemed every other girl in eleventh grade had sweet sixteens to attend each Saturday into the summer, I may have been invited to one or two. Little envelopes play a huge role in the social lives of school kids. In my case, it was a lack of little envelopes that ranked me if not with the undesirable, then at least among the invisible. It's true that I came through it. I'm sure most of the best parts of who I've become are a result of feeling insignificant in the social rankings of grade school. But my heart breaks for small me — always hoping for a secret admirer, wishing someone would sneak an envelope into my backpack just once — and it would break exponentially harder for Anna. She isn't near old enough to understand the significance of her little fistfuls of cards and candy, I just hope that when she is the little envelopes will keep showing up, and that she'll bound through the back door smiling even if they don't.